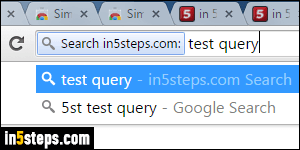 Opera ships with built-in support for six popular search engines. But you can also add custom search engines to Opera for any website you want, just like you can add custom search engines to Chrome. Remember: the new version of Opera (version 15 and newer) is based on WebKit, the same rendering engine used by Google Chrome and Apple's Safari browser). More on that later. 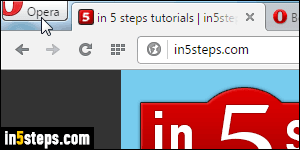 To use a different search engine for the address bar and right-click, click on the Opera menu and choose Settings, or hit Alt+P (Windows and Linux). On Mac OS X, go to Opera > Preferences, or hit the Cmd+, keyboard shortcut. Under the Search header, click on the dropdown menu: pick Google Search, Yahoo!, DuckDuckGo, Amazon, Bing, or Wikipedia. 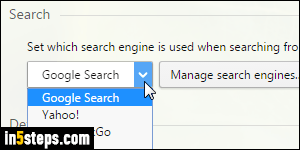 The "Manage search engines" button lets you create a custom search engines, but also shows you the letter to type before a query to tell Opera which search engine to use, regardless of the default. This popup is pictured in the next screenshot. 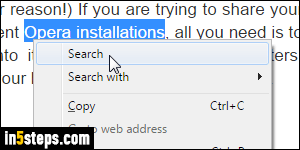 Your current default search engine is shown in bold letters: moving your mouse above each of them reveals a "Make default" button. Clicking it is another way of changing your default search engine. Let's say that your default search engine is currently Google. From the address bar, you can search with Yahoo by typing a "y" before your query: hit Enter, and the search results page will be Yahoo's, not Google's - a nifty feature that comes from Opera Classic!